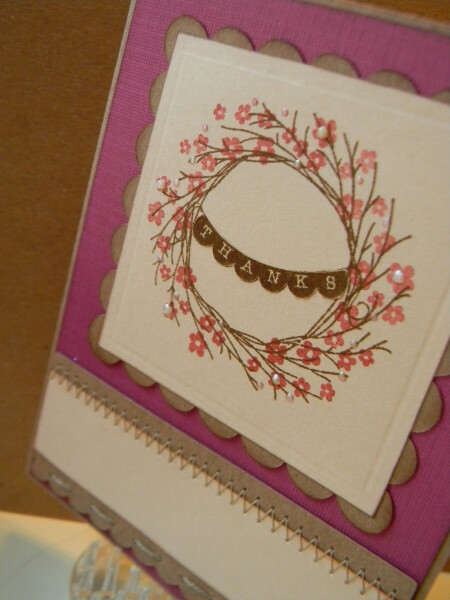 I used Core'dinations cardstock, and Kraft Cardstock. The scalloped dies were cut with my Cricut. 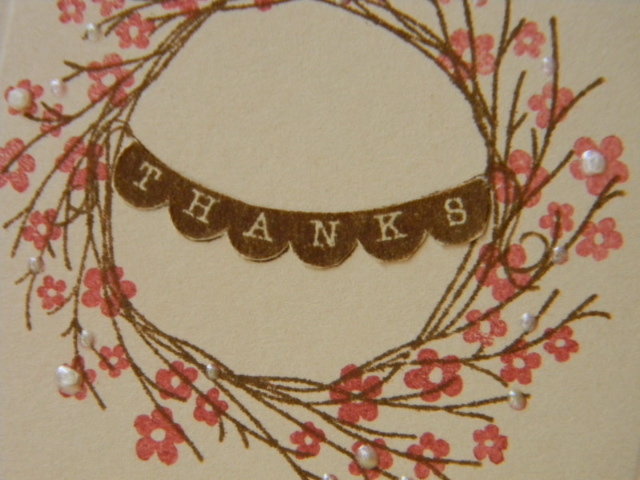 I also threaded twine on the scalloped border. Here's a close-up of the banner, and the pearl drops I added to the flowers. 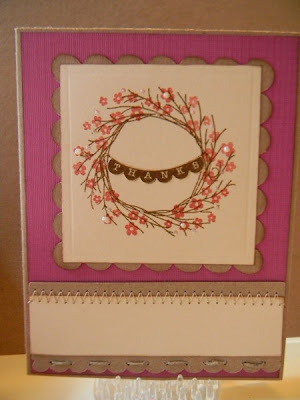 The set allows for beads, or fall leaves to be added to the wreath. It also comes with a little bow. I added machine stitching on the bottom for texture. TFL! So pretty...love Close to my Heart! Great job!